Wander-Lindsey: Boston, You're My Home. I moved to this city over six years ago on a whim. 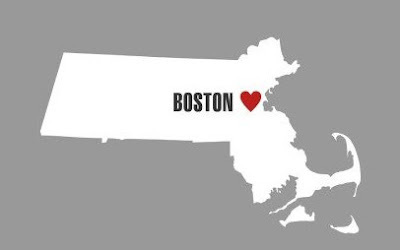 And in those six years I've grown to feel an immense sense of pride for Boston. That pride is stronger than ever today. While my faith in humanity has wavered a bit, I do believe that there is far more good than evil out there -- and that good will prevail. A strange twist of fate kept me in the office yesterday and away from the finish line so I thankfully didn't witness yesterday's tragic and senseless events firsthand. But the horrific images are seared into my brain forever. Luckily, so are the images and stories of the heroes who ran toward the carnage instead of away. Like this man, who had experienced enough sadness for three lifetimes prior to yesterday, but ran to the aid of one of the seriously injured. And these people, who selflessly offered up their homes to displaced runners. It's hard to process exactly what went on yesterday and why. And how something like this could hit so close to my home away from home. But it's messages like these, that remind us that we are all Americans, united against darkness. For those looking to help in any way they can, friends of mine have set up a donation fund for the victims. May we pray for those affected and hug our family and friends a little tighter today.